In recent years, many predominantly white Pentecostal churches in North America have de-emphasized the dynamic gifts of the Holy Spirit. The most prominent among the gifts neglected may be speaking in other tongues, especially the use of this gift within the context of corporate worship. One website currently offers these words of advice to those new to the opera: “Operas are beautiful expressions of the Italian spirit … a tricky world for the novice. Understanding this glorious art requires patience and a willingness to learn. Opera … can bring the viewer to great heights of understanding and self-awareness.” Warren offers a clever and considerate analogy to the world of Pentecostalism. But has today’s Pentecostal “tune” changed? And just what has warranted such words from Warren? For Pentecostals, the times have changed. A movement that has experienced rapid growth in the past century in the United States amidst periodic controversy and frequent misunderstanding has both influenced mainstream church culture and been influenced by it. Pentecostalism, once unaccepted and spurned by other denominations, has become more welcome among evangelicals than ever before. But has that acceptance come with a price? Pentecostal and charismatic expressions of praise and worship have arguably had a great influence on many mainstream churches. Since the charismatic renewal of the 1970s and the characteristic celebratory forms of worship that accompanied it, worship teams have replaced numerous choirs and organs across the country. Praises and singing accompanied by upraised hands and clapping, formerly a mainstay unique to Pentecostal or charismatic churches, have become common fare in many mainline churches formerly given to more reverential and contemplative forms. Can the American Pentecostal church bring the full expression of spiritual gifts back to the fore without “scaring off” or confusing new visitors in worship services? Warren simply suggests providing some guidance to “the opera.” Several churches list a handful of FAQs in their bulletins. The AG also provides a short sample on their website. As for an “explanation” for dynamic gifts such as speaking in tongues, the Apostle Paul gave advice to the charismata-consumed Corinthian church somewhat similar to Warren’s: “If anyone speaks in a tongue … someone must interpret. If there is no interpreter, the speaker should keep quiet in the church and speak to himself and to God” (1 Corinthians 14:27-28, NIV). Perhaps most surprising of all Warren’s admonitions at th e council was this one: “Don’t lose your Pentecostal distinctive.” Could it be that God has brought a fresh word to Pentecostals in North America, and that He has chosen to use an unexpected source? While Elijah sought for a sign from God, he looked for it in the “wind,” the “earthquake,” and the “fire.” Instead, it came in an unexpected “still, small voice.” It may be that in this instance God didn’t send a message in tongues or a prophetic word to challenge North American Pentecostals, but rather a clear message from the plainspoken tongue of a Southern Baptist pastor. 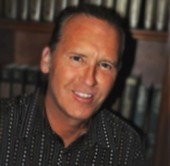 ROBERT CROSBY—(D.Min., Gordon-Conwell Theological Seminary) is Professor of Practical Theology in the College of Christian Ministries & Religion, Southeastern University (Lakeland, FL). He has written several books, including More Than a Savior: When Jesus Calls You Friend.